Even if they take a long time to be realized. Like raising three incredible, smart, beautiful, sweet daughters. And homeschooling those same kids. And working with your husband on his dream. I’m not very good on follow through. But this dream has stuck with me for a long, long time. I originally thought I would pursue nursing school about 15 years ago. But the time wasn’t quite right. I walked it in. Leaving the delivery of this envelope was not going to be left to the US Postmaster. 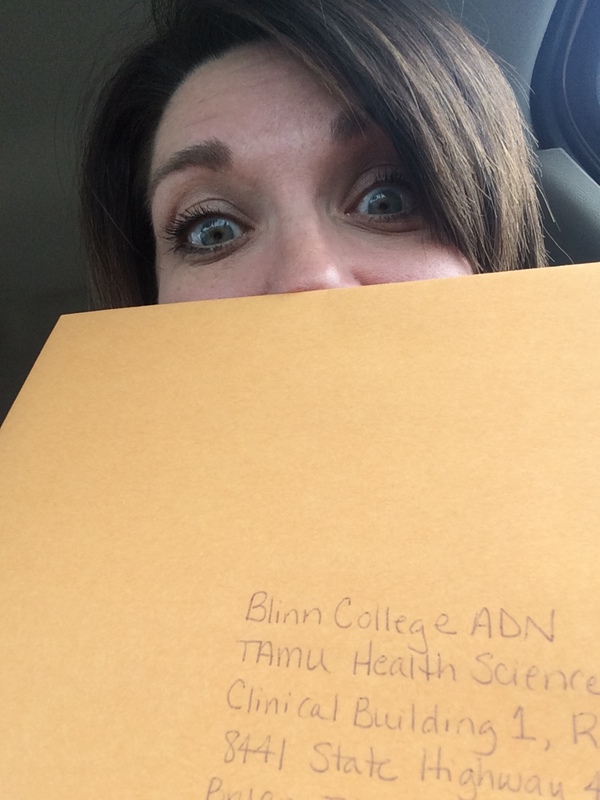 With a prayer and a smile, I’ve applied to nursing school.